There are four kinds of fear: real danger, healthy fear, irrational fear, and everyday worries. Real dangers are the things you need to fear because they really do portend danger. The real fear of getting hit by a car causes you to look both ways before crossing a busy intersection. It is the fear of falling or of heights that keeps you from jumping off a roof. These kinds of fears keep you alive. Healthy fears can motivate you to take positive action. Fear of lung cancer can cause you to stop smoking. 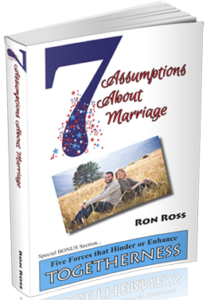 You may become more attentive to your spouse if you fear the ravages and shame of divorce. Irrational fears are the fears you create for yourself by imagining horrible outcomes to situations that may not even exist. The most common fears in this category the fear of rejection (“If they don’t like me I’ll just die!”), and fear of failure, (“I’ll look so stupid if I can’t do it?”). These irrational fears steal away your life one fear and one missed opportunity at a time. Everyday worry is the fourth category of fear and it is the most common. I’m talking about all the things that are on your mind that must be done today, or must be paid by Friday, or might happen if, or what will happen when, or how will I ever, etc. Everyday worries paralyze you physically, anesthetize you emotionally, demoralize you spiritually, neutralize you socially, and fragment you intellectually. Everyday worries spend your time, sap your energy, and steal your joy. Fear and worry focuses on fantasies and frailties but faith and courage focuses on realities and strengths. Fear endorses doubts but courage fortifies convictions. Fear amplifies anxieties but faith highlights hope. 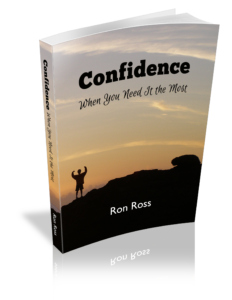 Fear underscores disabilities but courage promotes possibilities. And guess who decides how you are going to react in any situation? You do, that’s who. 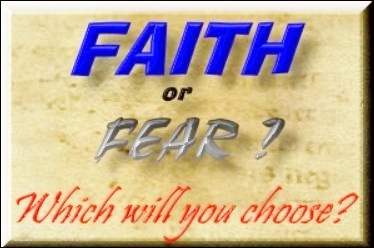 So my kick in the pants is this: focus on your faith not your fears. The only power that fear and worry have in your life is the power that you give it. And what do you get from fear and worry? The only thing you get from fear and worry is obscurity and gloom. Do you know what I fear most? It’s neither death nor public speaking (allegedly the two most common fears). I fear most a mediocre, miserly, and ultimately meaningless life. I believe that mediocrity, stinginess, and emptiness come from a multiplicity of irrational fears and a deficiency of authentic faith. On the other hand, a life lived with faith and courage has meaning, purpose, and leaves a heritage for generations to come. So what are you afraid of? Spiders, heights, meeting new people, change? Whatever your fears are, you can face them head on. Start with the simple act of defining your fears. Describe in detail what they are and how they impact you. Then, change the subject to faith. Describe in detail what the same issue would look like through the eyes of faith. You’ll be impressed at how quickly you can move from fear to faith.